You are a flower about to bloom, a page about to turn, and you are exactly where you should be right now. The great philosopher Voltaire wrote, “Perfection is the enemy of progress.” When you’re overwhelmed from striving for perfection, this necklace will remind you to be kind to yourself. That way you can focus on enjoying your journey. 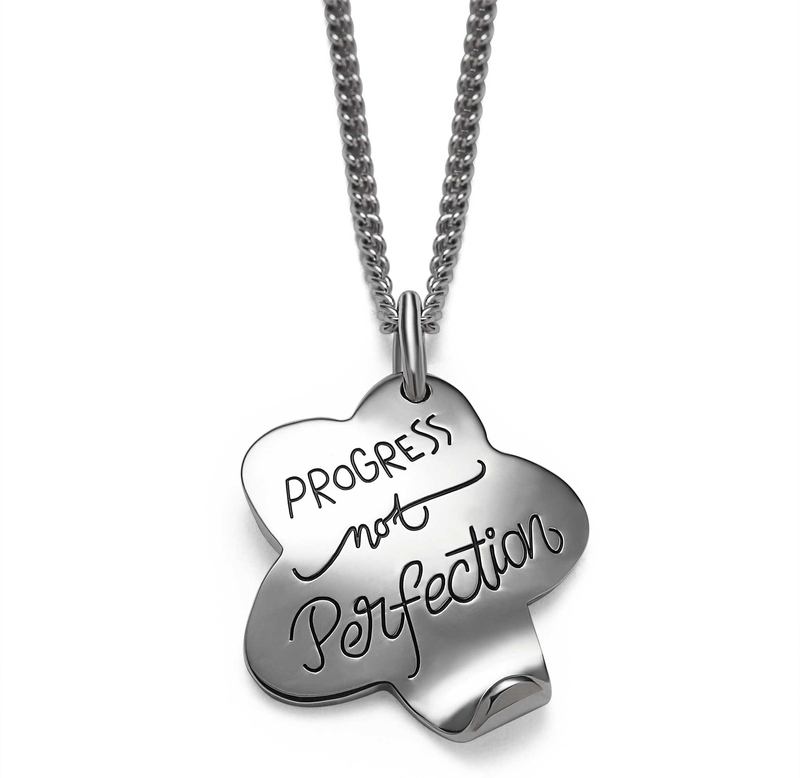 This engraved sterling silver necklace also makes a great gift for someone working towards a goal. Maybe she’s about to graduate or start a new job. Let her know you see the beauty that’s unfolding as she reaches for her dreams.